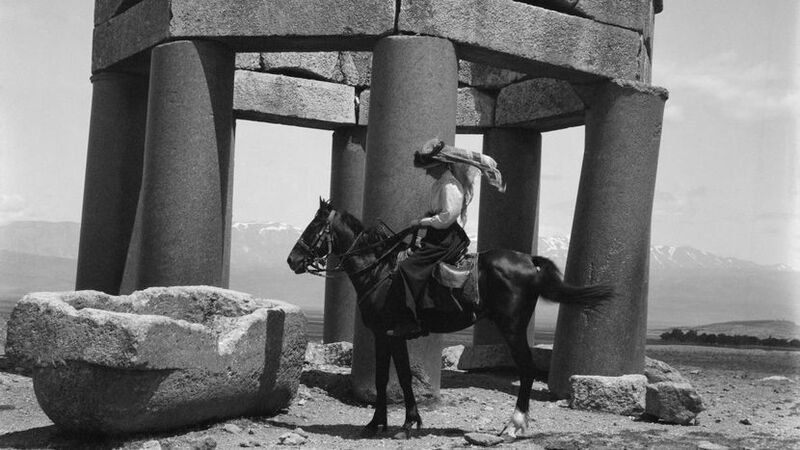 LETTERS FROM BAGHDAD is a truly exceptional documentary about the life of the intrepid explorer, spy and archaeologist, Gertrude Bell. A contemporary of Lawrence of Arabia and Gordon of Khartoum, Bell arguably had as much of an influence on Middle Eastern politics a century ago, and perhaps greater insight into the troubling diplomatic and political issues. She grew up in a minor aristocratic family with an incredibly supportive and wise further who funded her studies at Oxford - one of the few women admitted - and then her travels in the Middle East, starting with a visit to her Uncle, the British Minister in Tehran. As an archaeologist and British spy she explored and map territories making her work of huge importance during World War One. (Moreover, as a sidenote for all Cambridge Spies obsessives, she was the field handler for St John Philby.) After the War, Bell worked with Lawrence at the peace conference to determine the boundaries of the new states of TransJordan and Iraq, and was then a part of the Iraqi government - mediating between the different tribes and between the Iraqi government and the British. Accordingly she has been blamed for some of the political unrest in the region - such as the Kurds being included as a minority in Iraq - but in her correspondence and essays she clearly foresaw the problems that would be caused by the boundaries and the difficulties of forming stable government in ethnically and religiously heterogeneous region. This documentary is a fitting exploration of the life of a remarkable woman. It combines extracts from her letters (voiced by Rose Leslie for the young Gertrude and Tilda Swinton for the old Gertrude) with archive location footage, family photographs and documents. The directors also have a handful of actors in appropriate costume and shot in a period style commenting on her actions. The result is a richly textured aural and visual tapestry that forms a deeply insightful picture of her life and motives. It focuses both on her politics and her emotional life, and is fair and balanced. It's also interesting how the film manages to be both inspirational - Bell is a woman who defines her own destiny at a time when few could - and depressing - because Bell's insights about Middle Eastern conflict remain relevant and problematic today. LETTERS FROM BAGHDAD has a running time of 95 minutes. Both screenings at the BFI LFF are sold out but there will likely be standby tickets.